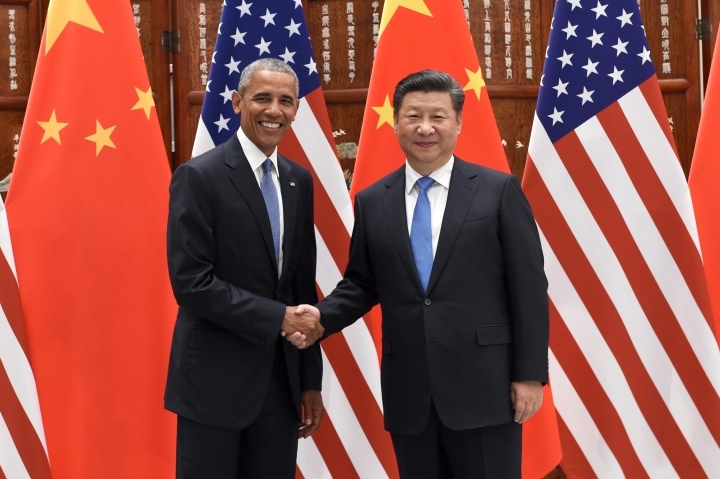 HANGZHOU, China — Setting aside their cyber and maritime disputes, President Barack Obama and China's President Xi Jinping on Saturday sealed their nations' participation in last year's Paris climate change agreement. 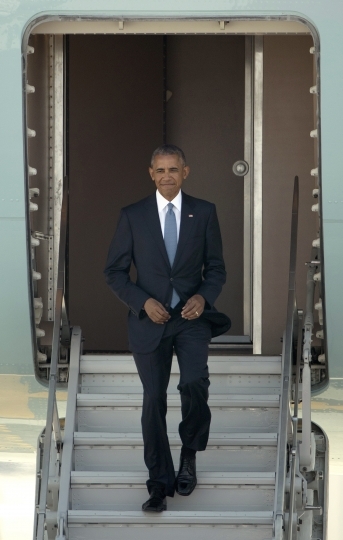 They hailed their new era of climate cooperation as the best chance for saving the planet. 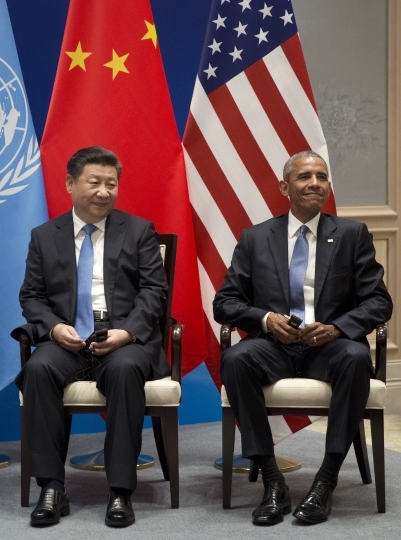 At a ceremony on the sidelines of a global economic summit, Obama and Xi, representing the world's two biggest carbon emitters, delivered a series of documents to U.N. Secretary-General Ban Ki-moon. The papers certified the U.S. and China have taken the necessary steps to join the Paris accord that set nation-by-nation targets for cutting carbon emissions. 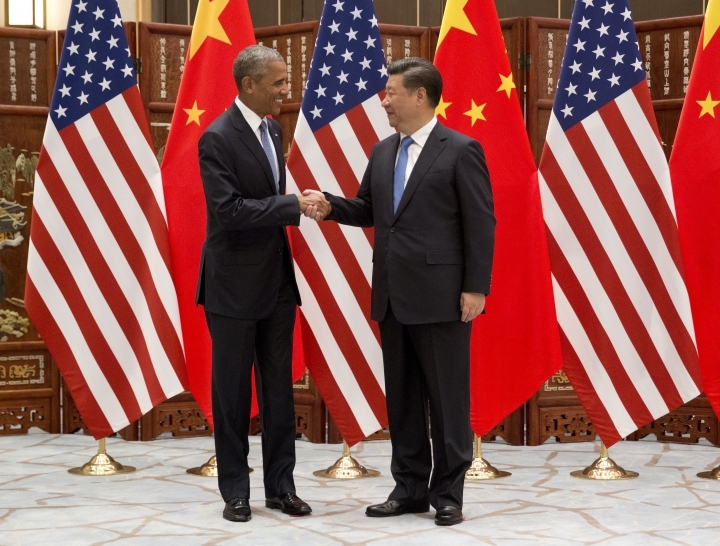 The U.S. and China together produce 38 percent of the world's man-made carbon dioxide emissions. 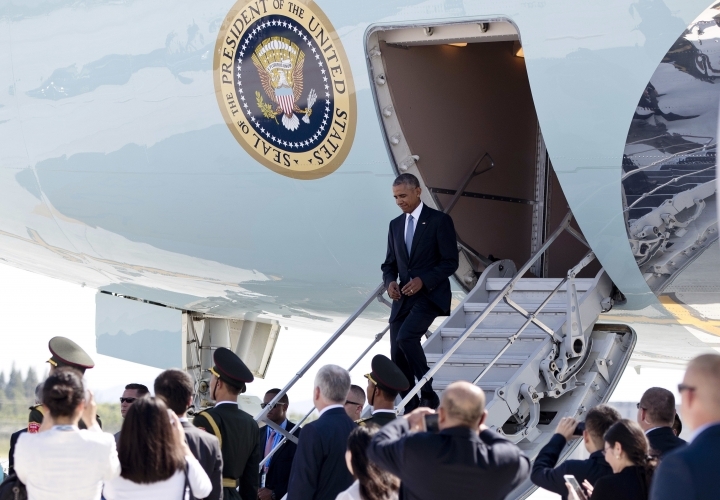 The White House has attributed the accelerated pace to an unlikely partnership between Washington and Beijing. To build momentum for a deal, they set a 2030 deadline for China's emissions to stop rising and announced their "shared conviction that climate change is one of the greatest threats facing humanity." 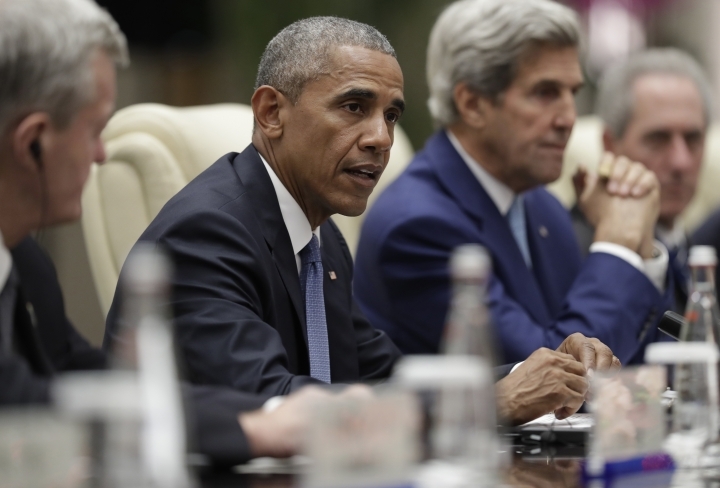 The U.S. has pledged to cut its emissions by at least 26 percent over the next 15 years, compared to 2005 levels. The meeting of the minds on climate change, however, hasn't smoothed the path for other areas of tension. The U.S. has criticized China over cyberhacking and human rights and voiced increased exasperation with Beijing's growing assertiveness in key waterways in the region. Most recently, the U.S. has urged China to accept an international arbitration panel's ruling that sided with the Philippines in a dispute over claims in the South China Sea. 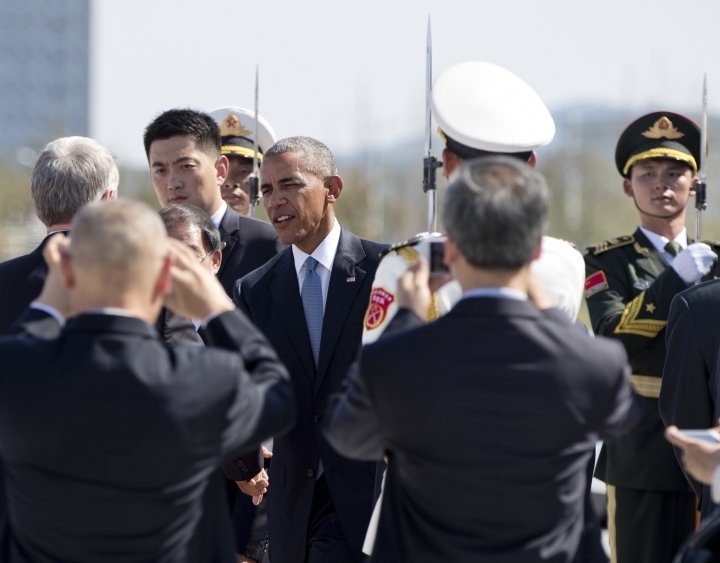 Meeting with Xi after the announcement, Obama said thornier matters would be discussed. He specifically cited maritime disputes, cybersecurity and human rights, though the president didn't elaborate during brief remarks in front of reporters at the start of the meeting. 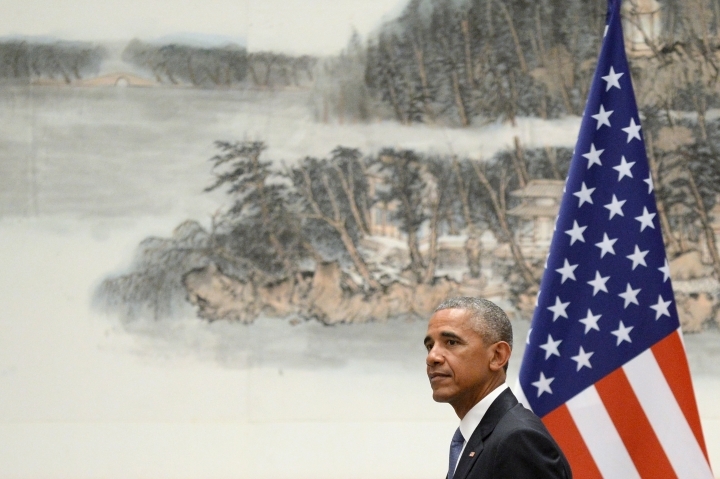 After several hours of talks, the White House said Obama told Xi the U.S. would keep monitoring China's commitments on cybersecurity. The leaders also had a "candid exchange" over the arbitration case between China and the Philippines, the White House said. 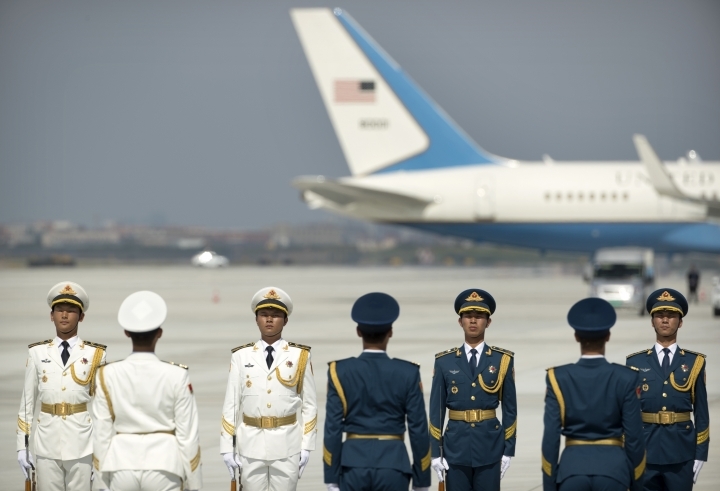 The ceremony opened what is likely Obama's valedictory tour in Asia. The president stepped off Air Force One onto a red carpet, where an honor guard dressed in white and carrying bayonets lined his path. A girl presented Obama with flowers and he shook hands with officials before entering his motorcade. But the welcome didn't go smoothly. A Chinese official kept reporters and some top White House aides away from the president, prompting a U.S. official to intervene. The Chinese official then yelled: "This is our country. This is our airport." Under the Paris agreement, countries are required to set national targets for reducing or reining in their greenhouse gas emissions. Those targets aren't legally binding, but countries must report on their progress and update their targets every five years. Xi said he acted after China's legislature voted Saturday to formally enter the agreement. In the U.S., Senate ratification is not required because the agreement is not considered a formal treaty. Li Shuo, Greenpeace's senior climate policy adviser, called Saturday's declarations "a very important next step." If the deal clears the final hurdles, he said, "we'll have a truly global climate agreement that will bind the two biggest emitters in the world."